Bonus Points25,000 bonus Qantas Points when you spend $1,000 on eligible purchases in the first 3 months from approval. NAB Qantas Rewards Card comes with a number of perks and rewards, its main draw being the Qantas Frequent Flyer points earned on each dollar spent. You can also add an additional cardholder for no extra cost, doubling your ability to earn air miles. As one would expect with a rewards credit card, the purchase interest rate on the NAB Qantas Rewards Card falls into the moderately high category, and the interest on cash advances is at the typical high rate. NAB are offering a six-month balance transfer deal with this credit card, with no interest for the first six months. Cardholders can also enjoy complimentary purchase protection insurance, which covers you for personal items that are lost, stolen or damaged within 90 days of original purchase. Entertainment is also covered with special offers, tickets and events via Visa Entertainment. The NAB Qantas Rewards Card could be a good option for Qantas Frequent Flyers, or those looking to join the program. If you are not already a member, this credit card includes a free membership. Current NAB customers in this situation can also enjoy keeping another financial product under the NAB umbrella, which generally makes payments and transactions run more smoothly. The free additional cardholder could also make this credit card a good option for couples, especially if you both want to earn Qantas points on your transactions. Like all rewards credit cards, the more you spend, the more points you earn. This makes the NAB Qantas Rewards Card more suitable for everyday, rather than occasional, credit card users. If you are already in the habit of putting your everyday expenses on a credit card, this could be a great way to earn points on money you are already spending. 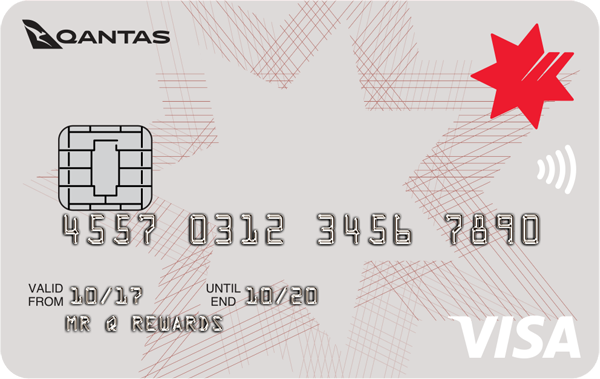 The NAB Qantas Rewards Card is one of many frequent flyer credit cards on the market. With the expected high interest rates and moderate annual fees, cardholders have plenty of opportunities to earn frequent flyer points, but this could come at a cost. The number of points earned per dollar spent on the NAB Qantas Rewards Card is not as competitive as other frequent flyer credit cards, even some with low – or no – annual fees. The low minimum credit limit makes this credit card accessible to more Australians, but cardholders who use it irregularly or conservatively are unlikely to see much of a return on frequent flyer points. New customers can also take advantage of the balance transfer offer with a 0% interest rate – just make sure you can pay it all off within six months. After this time, the same high interest rate on cash advances applies to the remaining balance. To apply for the NAB Qantas Rewards Card you must be aged at least 18 years old and meet any other serviceability criteria. You can start the application process online, and will need to provide information on yourself, your income and spending habits. It’s always a good idea to have identification, proof of income and a recent bank statement at hand too. The online application process should only take about 15 minutes. NAB, formally known as National Australia Bank, is one of the big four banks in Australia. With operations available in Australia, New Zealand and Asia, NAB serves over 12 million customers worldwide. One of the more recently-established banks in Australia, NAB was founded in 1982. Currently headquartered in Melbourne, NAB has more than 1,500 branches across Australia, as well as more than 4,000 ATMs for customers in need of access to cash or customer service. What’s the best credit card for rewards? Credit cards offering rewards can be great if you know you’ll use the card enough to get significant rewards points, and use the rewards you earn. They can also come with high annual fees that may end up nullifying the rewards, so think how often you use the card to decide whether the benefits outweigh the extra cost for you. A card with a lower annual fee might require a lot of spending to get any useful rewards, while another card with a higher annual fee might need fewer purchases to get a reward. Also, think about the types of benefits you’d like. There’s no point in getting a card with rewards for retailers you never visit, or travel you don’t have time to use.